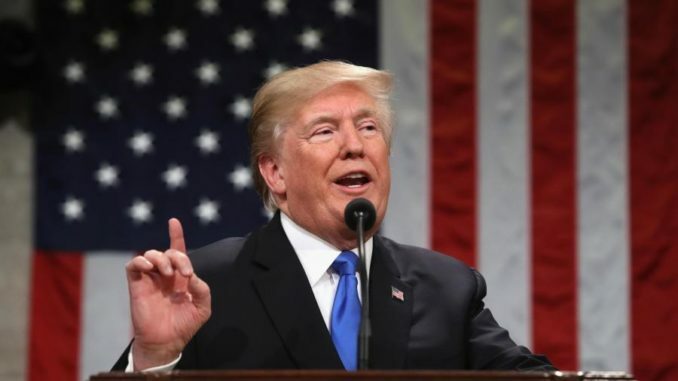 Washington, Jan 31: A bullish US President Donald Trump has proclaimed a “new American moment” as he delivered his maiden State of the Union speech. Addressing the joint session of Congress in the chamber of the House of Representatives, Trump outlined his administration’s goals for the next year, including policies on trade, immigration, infrastructure and national security. In an upbeat message, a world away from the apocalyptic tone that he had struck in his “American carnage” inaugural address in 2017, Trump said his administration was “building a safe, strong and proud America”. He defended “the extraordinary success” he has achieved since taking office on January 20, 2017, and called on the Congress to work together and set aside differences. 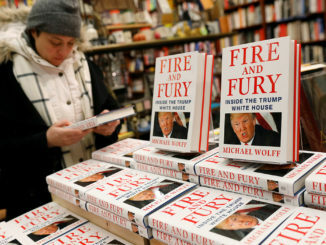 As many as 40 million television viewers were expected to tune in to the primetime address as he implored the nation to come together as “one team, one people and one American family”, the excerpts released by the White House said. Although the American economy is booming, Trump’s approval rating languishes, the BBC said. Trump praised an army staff sergeant, Justin Peck, who risked his life to save a comrade in Iraq and was awarded a Bronze Star. Peck stood behind the First Lady Melania Trump. Peck received waves of applause as he shook hands with her. 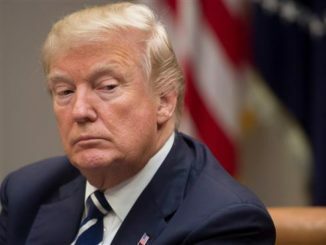 Terrorists are not just evil but unlawful criminal combatants, Trump said and came down heavily on earlier “weak” US policy to release terror faces like IS chief Al Baghdadi. “Detain terrorists”, he said. “In the past, we have foolishly released hundreds of dangerous terrorists, only to meet them again on the battlefield — including the IS leader, Al-Baghdadi. He vowed to keep open the detention facilities at Guantanamo Bay. “As part of our defence, we must modernise and rebuild our nuclear arsenal, hopefully never having to use it, but making it so strong and powerful that it will deter any acts of aggression,” he said. 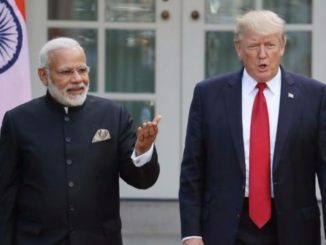 Trump said one day there would be a magical moment when countries of the world would get together to destroy all the nuclear weapons,” unfortunately that time has not come yet”. On Iran he said: “When the people of Iran rose up against the crimes of their corrupt dictatorship, I did not stay silent. America stands with the people of Iran in their courageous struggle for freedom. Trump’s address was well punctuated by loud applause, thumping of approval and standing ovations.